I come bearing some rather exciting news. Coming in February *you* will have the opportunity to pre-order your very own copy of my documentary film, "Where There Once Was Water". Wheeee Haw! After spending some months on this project, I have come to realize that in order make this film a reality, I'm going to need help. In mid-February be on the look out for a super rad Kickstarter campaign and the official release of my first teaser trailer for the film. Holy smokes, I cannot wait to show you what I've been up to! Much Love, y'all. I just returned from a road trip up to the northernmost tip of California. 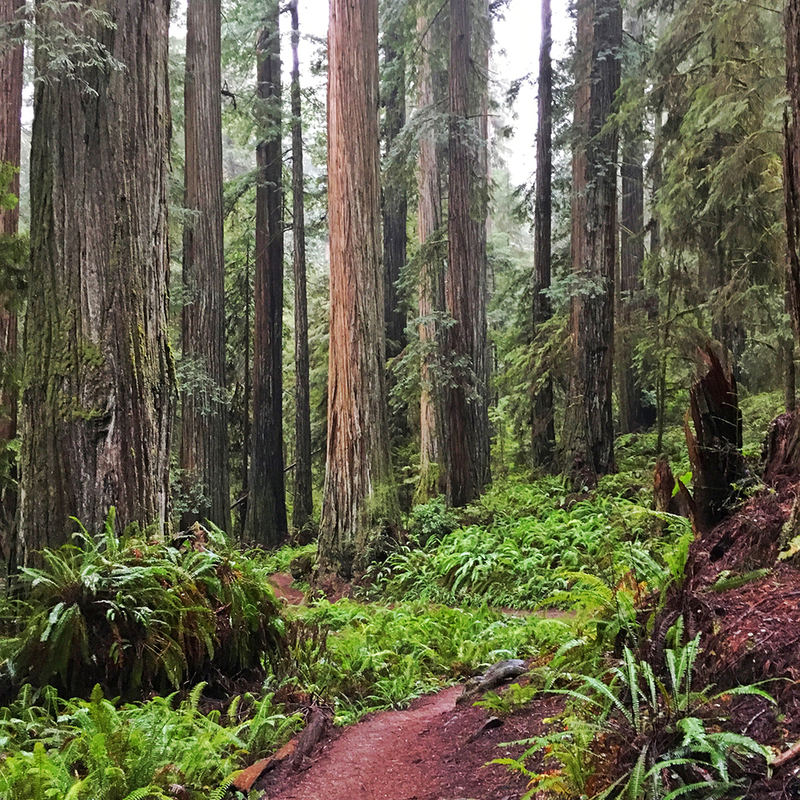 I soaked up the rain in those giant redwoods, and I came home saturated and refreshed - grateful for the natural wonders of our world. Along the way I filmed the devastatingly charred remains of the town of Cobb, I followed the Eel River as it wound it's way down the northern reaches of highway 101, and I filmed time-lapses of clouds flirting with the forest. I visited Shasta Lake - one of our state's largest, and an area of much dam dispute of late, and I stared in amazement at the reservoir's gargantuan bathtub rings. The theme of cooperation, and little changes making big differences, keeps coming up. As artist & activist Sarah Bellum said to me recently in an interview, "We're all on this abundant garden planet together, and it's a lot easier if we work together". I had the opportunity to interview this inspiring and kind-spirited "Barefoot Trash Fairy" about her zero-waste lifestyle, the health of our oceans, and her work with the Surfrider Foundation. She's about to head out on a zero-waste bike tour up the coast of California - so, as you may have guessed, Sarah and I realized, pretty much immediately, that we were soul-sisters. Beautiful connections continue to happen through this project - I am grateful, and my heart is full. I've been reviewing images and footage in preparation for the official project launch in February, and there's so much to share already! I am thrilled for the opportunity to give you a sneak peek of this work through my first teaser trailer for the film - set to launch mid-February alongside my Kickstarter campaign. Once launched, you will have the ability to pre-order the film. Your support will mean the world. Thank you for being on this journey with me!